Gemstones are among the most powerful devices used for remedies in Vedic Astrology. Their use can be confirmed with the help of ancient history of so many civilizations and countries. Kings, Queens and rich people used to wear gemstones to get good benefits and cast away evils. Even in the present times, many rich and famous people are wearing them. A good number of people believe that gemstones are capable of bringing them magical results though they don’t know how these gemstones bring about such magical results. So what is the force working behind these gemstones? Are they magic or are they purely scientific devices? Let’s try and find out. 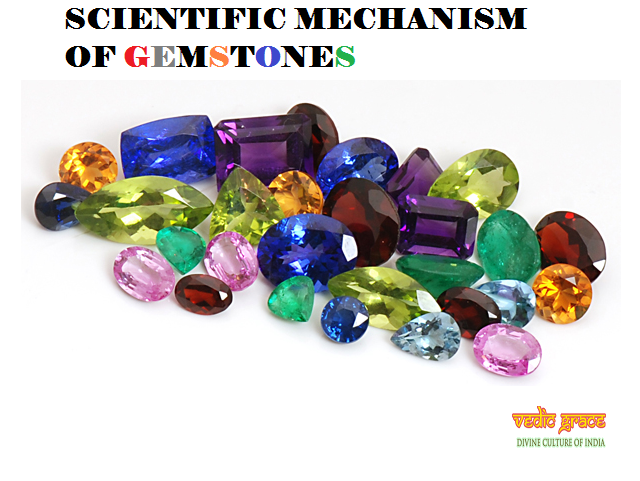 Gemstones are absolutely scientific devices and so, let’s learn about the scientific mechanism involved behind the functioning of the gemstones. In simple language, let’s get to know how these gemstones actually work. In order to understand this concept in the best possible manner, we will have a look at this concept right from the birth of a human. There are twelve zodiac signs in astrology ranging from Aries to Pisces and out of these 12 Signs, there is always a sign rising on the sky of a particular place at a particular date and time. This Sign is called the Rising Sign or Ascendant or Lagna. When a child first comes out in this world, the particular 4gri rising in the sky at that time, as well all the planets where ever they are situated in transits at that time, all of them register their positive or negative impacts on the baby. The sign rising at that time is called the Ascendant of the native which becomes first house of his horoscope and all the planets are arranged in different houses of the horoscope according to their transit positions at the time of the birth of that native. To have a scientific look at this concept, all the twelve houses of a horoscope may be considered as twelve energy centers in human body which register, store and emit energies. This way, at the time of birth of a native, some energy centers register negative energies, some energy centers register positive energies and some energy centers do not register any energy at all. It simply means that some houses of a horoscope have good or bad planets in them or we can say they have positive or negative planets in them while some houses of the same horoscope may be completely empty. Depending on the nature of these planetary energies registered in various energy centers in the body of a native at the time of his birth, the planets function or work as good or bad planets for that particular native. It means that a planet which has registered positive energy in any energy center of a native’s body will keep working positively for the native unless specific negative activities are done by the native to change the nature of this planet as well as the nature of this energy. In the same way, a planet which has registered negative energy in any energy center of a native’s body will keep working negatively for the native unless specific positive activities are done by the native to change the nature of this planet as well as the nature of this energy. Depending on various factors like sign of placement, house of placement, degree of placement, the combination of a planet with other positive or negative planets through conjunctions or aspects, a planet may be weak, good, strong or very strong in strength. The strength of a planet only means its ability to perform and it does not tell whether this planet is good or bad in nature, which is decided by many other factors present in a horoscope. Moving on, if a planet has registered positive energy at the time of the birth of a native, it becomes a good planet for that particular native and an expert astrologer can read it from his horoscope. But if due to its placement, affliction or some other concept, it has become weak, it simply means that the planet will remain good for the native but it will not give its proper results as it is weak. This is where gemstones come into the scene as in this case; wearing a gemstone for that particular planet is prescribed to give energy to the weak but good and positive planet after analyzing the horoscope of such native. All the gemstones work on the principle of absorption and transmission of some particular wavelengths of energy where each one of such particular wavelengths belongs to some particular planet. For example, a Ruby (Manik) absorbs and transmits Sun’s particular energy into the body of the person wearing this Ruby and as this additional energy goes into the body of this person, the energy of Sun inside him increases. Hence if Sun is good but weak for that native, it will gain energy through the Ruby, become strong and it will boost the results given by it to that particular native. Same is the case with all other planets and this is the reason why gemstones are prescribed. It should be noted carefully that if a planet is negative for a native, wearing the gemstone for that planet will transmit more energy of that planet into the body of such native due to which such planet being negative in nature will become more harmful. This happens because the gemstone of this planet provides additional strength to this planet but it does not make any changes to the working nature of this planet due to which the already negative planet gains more strength and lx) starts harming the native with more strength. So gemstones to can only increase the power of a particular planet in your 25 horoscope or in your body but they can’t change the functional nature of that particular planet in your horoscope or in your body. 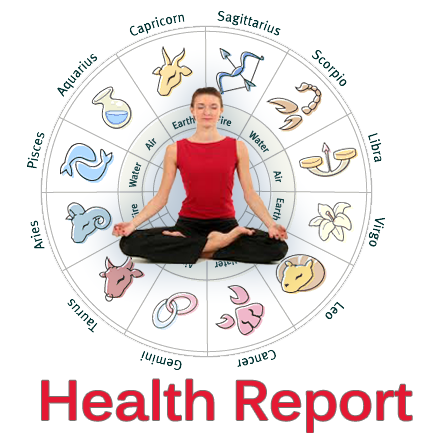 a Apart from clean positive and negative planets, there are de also some planets in some horoscopes, which give majority of positive results to the native with some negative results rd or side effects. On the other hand, there are some planets in some horoscopes which give majority of negative results to the native with some positive results. These planets are called mixed planets as their nature is not completely positive or negative and they are a mixture of positive and is negative energy due to which they give both types of results 2S to the native having such planets in his horoscope. 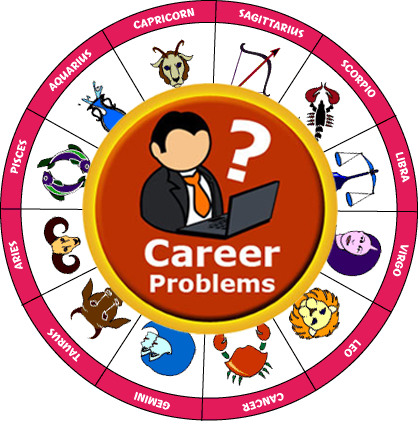 For example, a particular planet of this type may give you to good results with your profession but at the same time it may cause problems in your married life. This planet may create much aggression inside your body and mind due to which you are capable of taking big initiatives and you have enough energy to complete the tasks you undertake, which results in the success in various professional spheres. The same aggression however, can create many problems in your married life as you get aggressive and angry very quickly and you also have a tendency to take your arguments or fights to higher so levels, which spells more and more problems in married life. 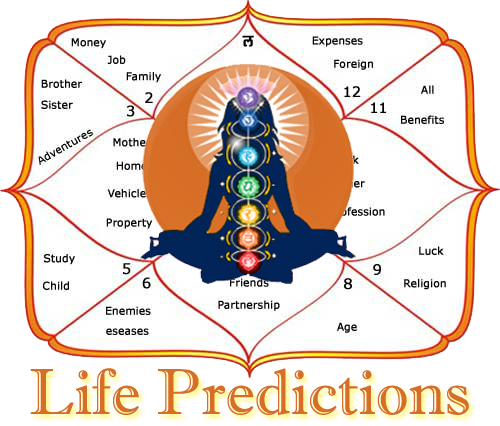 Similarly, another planet of this type may bless you with good health and long life but at the same time, you may suffer to occasional financial losses due to partial negativity carried by in this planet. Next NAVAGRAHA GEMSTONES: WHY THEM ONLY?